Unlike traditional/classical forms or medical Qigong practices, Therapeutic Tai Chi© provides practitioners of any age or degree of ability a calming means to achieve daily physical activity as recommended by health professionals, with the use of gentle stretching, moderate movement, and healthful breathing. A decidedly Western approach to the ancient Chinese internal martial arts, Therapeutic Tai Chi© incorporates adapted, simplified forms of Qigong, Taiji, and meditation, along with research/science-based lessons of stress management and mindfulness. 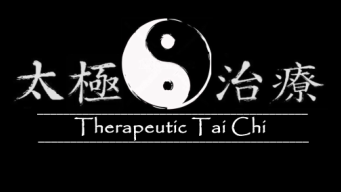 The Therapeutic Tai Chi© programs have been developed with the guidance and input of Physiatrists, Neurologists, Physical Therapists, and other medical professionals, along with Yoga teachers and Taijiquan Masters to benefit people of almost ALL ages and abilities. Therapeutic Tai Chi© is used to complement Physical Therapy, Occupational Therapy, and Recreation Therapy and may be used in conjunction with Traditional Chinese Medical treatments. The program is currently used in Corporate and Community Wellness programs, VA Medical Centers, Medical Fitness Centers, Retirement communities, Independent and Assisted Living facilities, Disability Support and Advocacy programs, and Special Education programs. The Therapeutic Tai Chi In-a-Chair program was officially launched and presented in 2004 by the National Multiple Sclerosis Society at an "MS Awareness Day" through Rush/Riverside Medical Center's Health Fitness Center. The program is being taught internationally and is appropriate for anyone with standing and/or balance issues. There are currently over 150 instructors certified to teach the program. ​THERAPEUTIC TAI CHI programs are described in detail with photo illustrations in the book, "Therapeutic Tai Chi: My Journey with Multiple Sclerosis, My Path with Tai Chi" by Gary Paruszkiewicz.